If you’re like us, then you’re serious about your Acura. 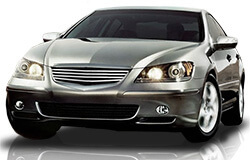 Acura vehicles are known for their luxurious power, excelling in both comfort and drivability. To ensure that your automobile stays the force that it is on the road today, you need an auto repair shop in Austin, TX that knows how to properly service and repair your Acura! That’s where the professional Acura experts at Dave’s Ultimate Automotive come in. Dave’s Ultimate Automotive is the premier, local Acura service and repair shop in Austin and Pflugerville, TX. We are a family owned and operated automotive facility with three locations completely dedicated to providing you with the best Acura services and repairs in North Austin, Central Austin and Pflugerville. At Dave’s Ultimate Automotive, our auto mechanics are highly skilled ASE Certified Technicians who are specially trained to service and repair all makes and models of Acura vehicles. From the Acura ILX to the RDX to the ZDX – and someday the concept Acura NSX – we have the latest technology and diagnostic tools to take complete care of your car! We’re happy to be your friendly alternative to the expensive dealerships, making your auto maintenance services such as oil changes, tire rotations, brake repair and tune-ups a breeze. All of our Acura repair services are backed by Dave’s Nationwide Warranty! Did we mention that all of our Acura repair services are guaranteed by an industry-leading nationwide warranty? When you bring your vehicle to Dave’s Ultimate Automotive, you can be confident that it is truly in the best hands. We also are happy to provide free vehicle safety checks on your car’s air conditioning, brake system, alignment and check engine light, further helping you and your family stay safe on the road! We’re happy to be your friendly alternative to the Acura dealership in Austin. At Dave’s Ultimate Automotive we treat you and your automobile like family – because you are! We are all a part of this great Austin community, and we see it as our duty to keep our Austin family safe on the road with properly serviced and repaired vehicles. To help make your Acura repair experience with us even easier, we have free Wi-Fi Internet in our comfortable waiting area, and a free local shuttle service to get you where you need to go! Plus, as we mentioned earlier, we have three auto service facilities – one in North Austin, one in Central Austin and one in Pflugerville, TX – making convenient Acura services just around the corner from where you live or work. We invite you to stop by, give us a call or easily schedule your appointment online and then you’ll see that everything we do at Dave’s Ultimate Automotive is truly to help you have the best Acura service and repair experience in Austin, TX! Check out our full list of automotive repair services!